The SEO landscape is forever evolving and changing and as website owners we have to be able to evolve with it. Because here’s the thing, as long as you have a website you need to not only understand SEO but you need to evolve with it as well, unless you want your website to be forever languishing in Google’s no man land. However before you pull your hair out and scream in the general direction of your laptop /phone/ tablet (pick whichever device you are reading this on) Here’s the good news, this doesn’t have to be super complicated or tricky. 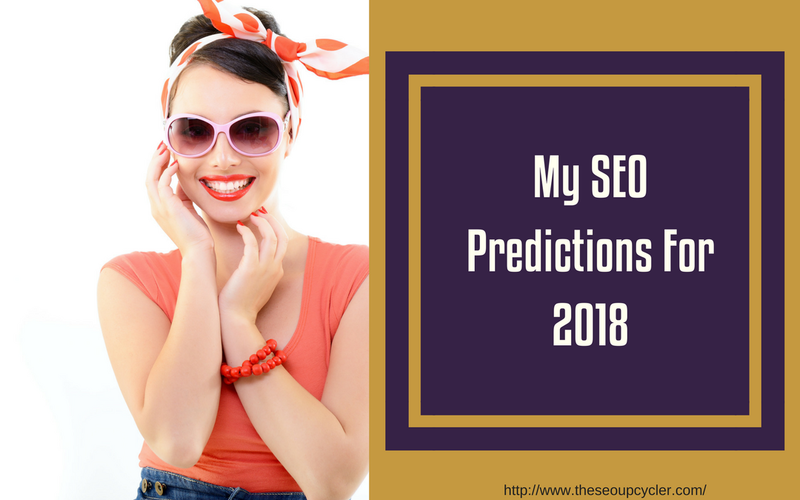 You just have to try to stay ahead of the game, so with that in mind let’s dive into my top SEO predictions for SEO for 2018. In all truthfulness the Mobile First Index has been in play since earlier in 2017 when it was first rolled out. However as it was rolled out in stages it will be in 2018 that it really comes into full force. Well last year they announced that they were going be essentially merging the 2 with preference given to the mobile first index. The main impact this can have on your site is preference will now be given to sites that are mobile friendly over those that aren’t. So what that means for SEO in 2018 is that websites that are fully mobile friendly will feature higher in the search ranking. So if your site doesn’t yet pass the mobile friendly test, now would be the time to get it up to speed. Ok so when was the last thing you asked Alexa or Siri or OK Google a question? Maybe you were asking it one of the Easter Egg questions hidden in these devises (my 9 year has made it his mission to ask Alexa as many random questions as he can to find the funny answers) or more likely you were asking it something you want to know. If you were then congrats you are now using one of the most popular ways to search the web, Voice Search. Searches using Where, When and What have risen significantly in the last year and a big part of that is due to the rise in voice search. How relevant voice search is to your business will depend on a number of factors. These factors include asking yourself “how are consumers going to find your brand”. Is localized search important to your brand? If so then look at whether you need to create more query based content for your website. 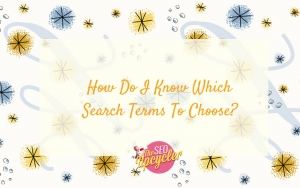 This type of search is going to become more important than ever as its about returning meaningful results which are based on user intent, location, search history, and other parameters. 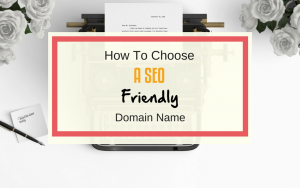 Therefore to find success with semantic search, you will need to understand the user intent and also ensure that you have quality content to match this intent and also to make it easily crawlable by the search bots. This year the speed at which your website loads will play a big part in the success you will have within the search engine rankings. This means that you will want to do everything you can to ensure your site loads quickly. If you use a WordPress as a platform for your website there are plugins that can help you ensure a quick load time, including caching plug ins and plug ins that will “smush” your image size. 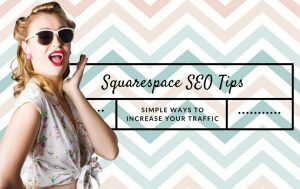 Now more than ever your content will be vital to your websites SEO success. With the shift towards Semantic Search, the importance placed on user experience, the push for social sharing and the increase in query based searching, the quality of your content has never been more important than it is now. With the increase of voice and Image search, the featured snippet is taking on more importance than ever before. 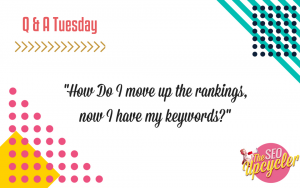 As a result of this Google and Bing are aggressively pushing the featured snippet in the results as they want an easy and clear answer to a query so if it’s of huge importance to them then it should be to you as well. There are other more technical trends that will be important but each deserve more time and possibly their own blog to explain them. 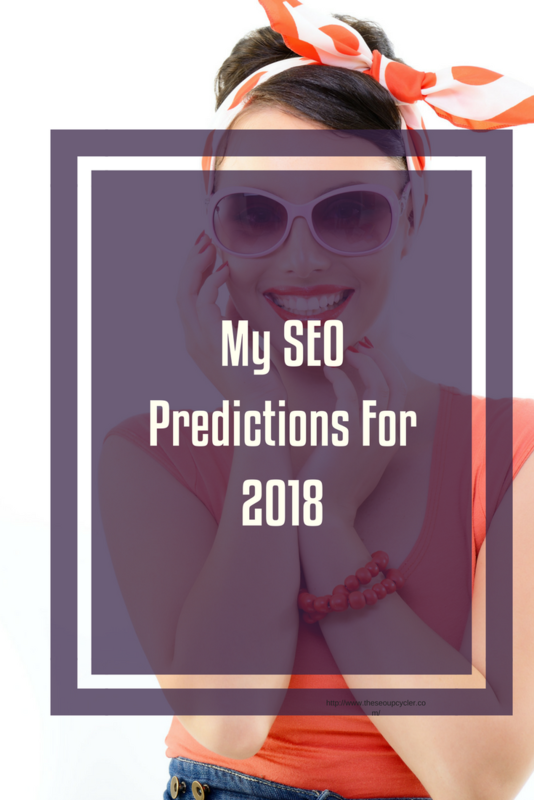 But in general this blog covers most of what you need to know in relation to my top SEO predictions for 2018. If you have questions at all about these predictions please pop them in the comments below and if you could give this post a share on social media I would be really grateful!